This past weekend was the Brookings Area Habitat for Humanity Salvage Art Show. It's a pretty fun idea. 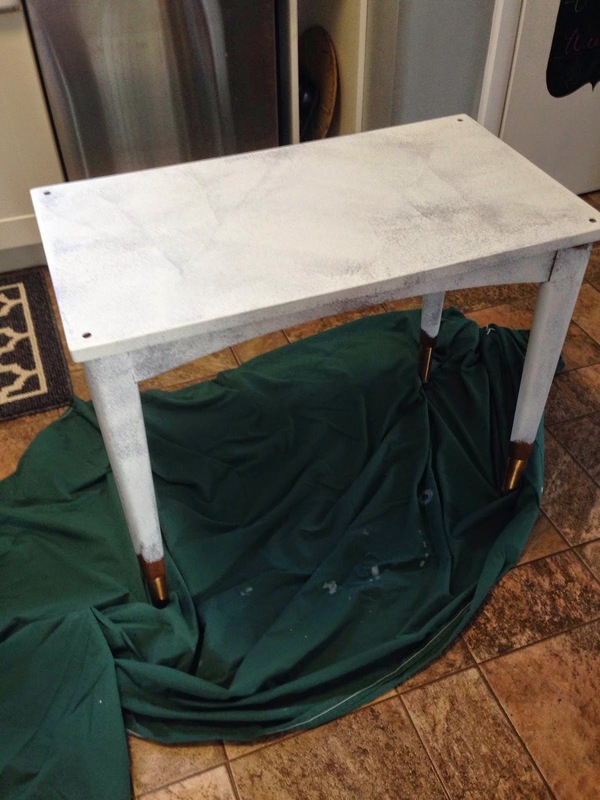 You get a $10.00 credit to create something unique from items in the ReStore. I was looking for some projects to keep myself from working on the stuff I should work on. I decided I wanted to try something with some tinted chalkboard paint and a vintage map I had sitting around. 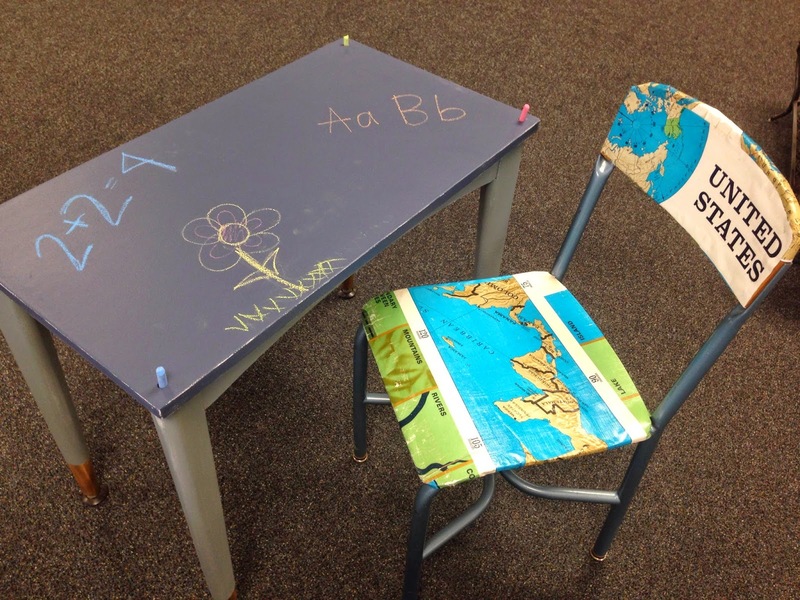 I picked up a table that looked like a small desk and a old schoolhouse chair. The chair had a blueish tint to the metal that I really liked. I also liked the gold tipped legs on the table. My kiddos got to help out with cleaning up each item. 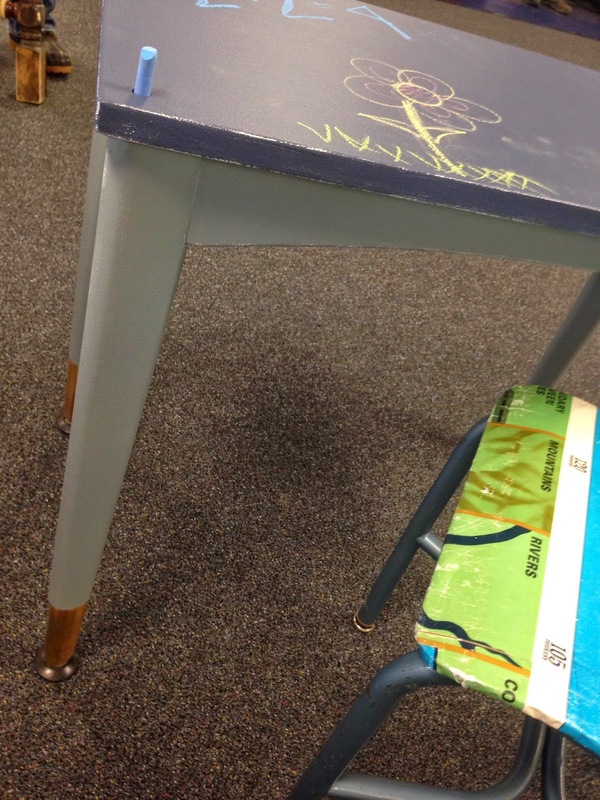 The table first got a coat of oil based primer and then chalk paint on the legs and chalkboard on the top of the table. 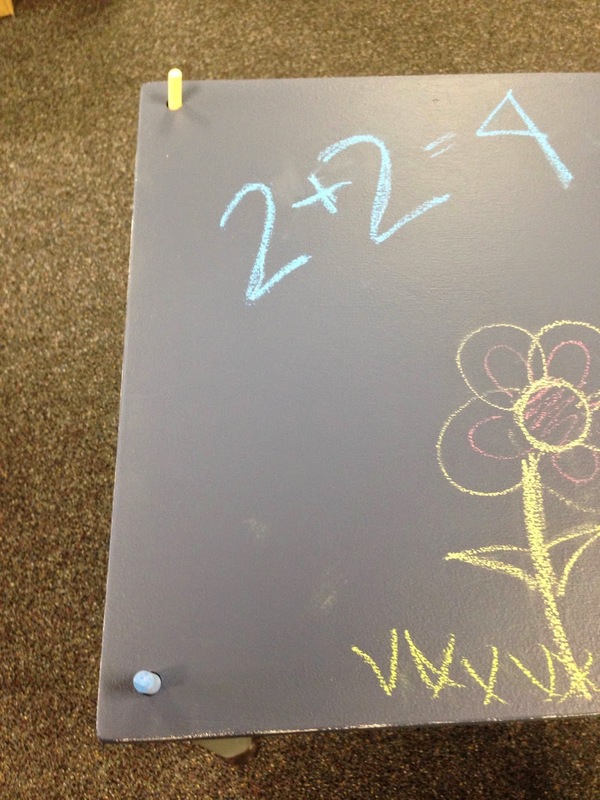 Each corner had a little hole which was perfect for a stick of chalk. 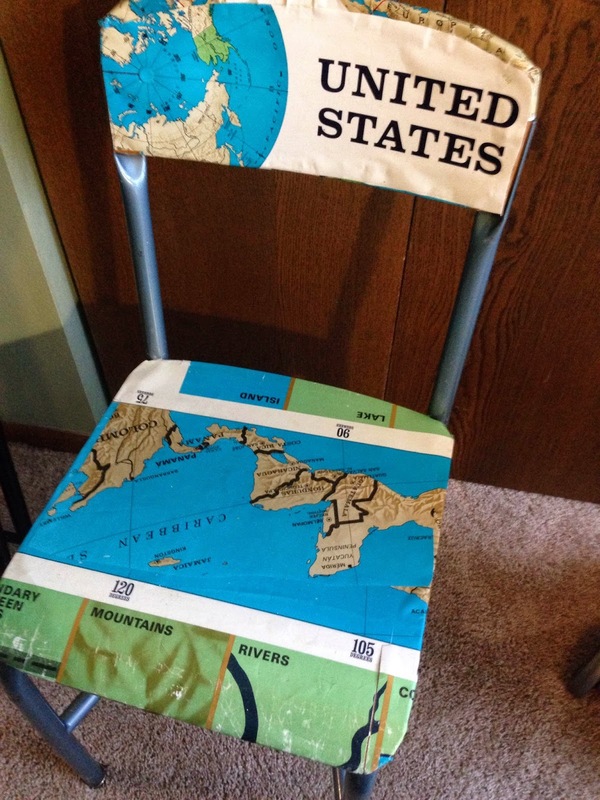 Then the chair got the vintage map applied with mod podge, and clamped down to make sure it was smooth. The set was supposed to have a masculine feel. Perfect for a little boy's room. I was pretty happy with the result, and I hope it brought some money into our local Habitat for Humanity. 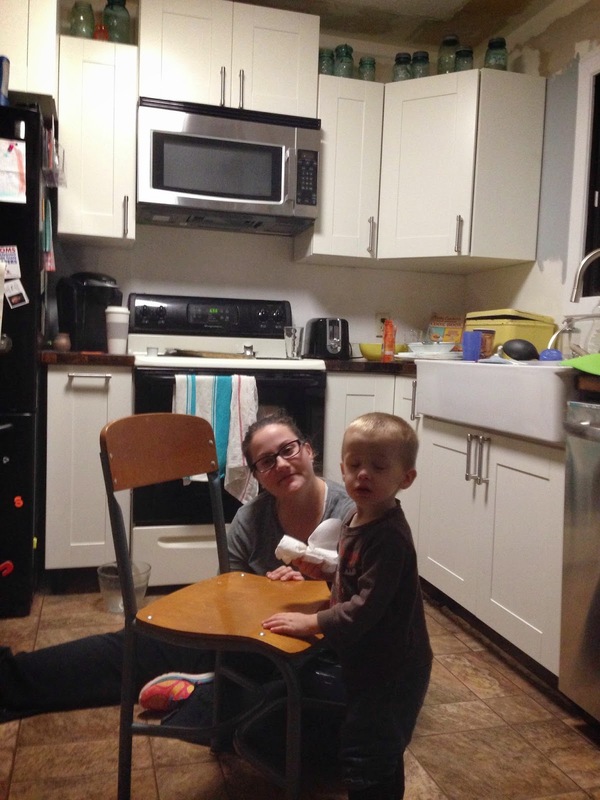 The best part though was explaining why we were working on the table and chairs with my daughter. All primed and ready for paint!